I have done this before using different colors but it is such a pretty look, I decided to recreate it again. 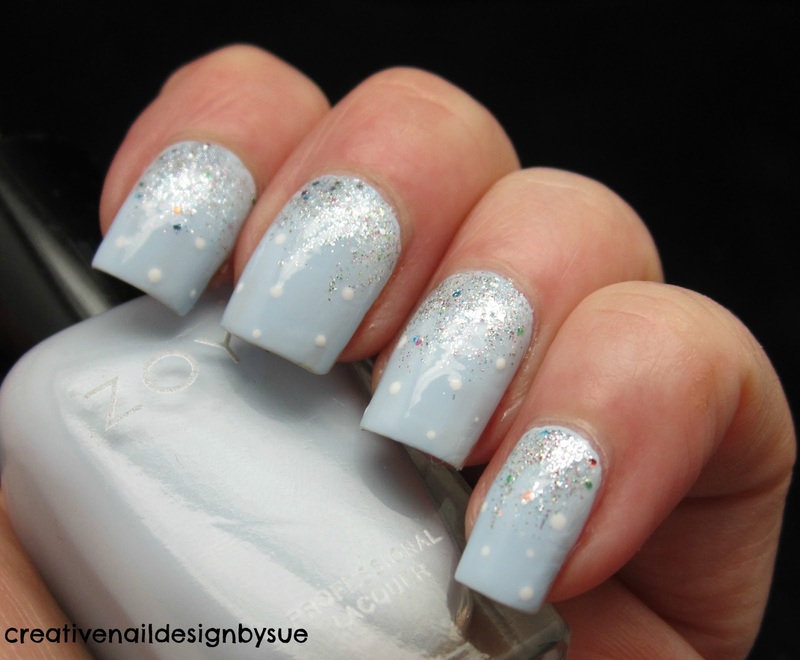 This time I used Zoya Blu from their Spring 2013 Collection. It is a gorgeous cream base and a one coater. Perfect application. I did a reverse gradient using CG Ray-diant and added in some light snowflakes using Milani White on The Spot. These are gorgeous! I love the hint of color! I Love it! so beautiful and delicate!